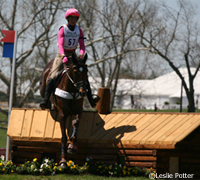 The Rolex Kentucky Three-Day Event, presented by Bridgestone, will host free general admission days for college students and military personnel during this year’s Event, April 26-29, at the Kentucky Horse Park in Lexington, KY. The free admission offer also includes the Ariat Kentucky Reining Cup on Friday, April 27. All college students with a current Kentucky college ID will be given free admission on Thursday, April 26. All current and former military personnel, in uniform or showing a military ID, and their families, will be given free admission on Friday, April 27. In addition to free admission and reserved seating, the first 500 military personnel to arrive on Friday will also be given free admission to the Ariat Kentucky Reining Cup competition which will be held at 6:00 pm Friday evening. The Ariat Kentucky Reining Cup, held alongside the Rolex Kentucky Three-Day Event on Friday and Saturday, April 27-28, features the world’s best reining riders including all four members of the Gold Medal team from the 2010 Alltech FEI World Equestrian Games held at the Kentucky Horse Park. Four-time Grammy Award winner and Country music legend Lyle Lovett will compete on Friday. Further information on the 2012 Rolex Kentucky Three-Day Event, Presented by Bridgestone, is available at the Rolex Kentucky website at www.rk3de.org and for the Ariat Kentucky Reining Cup at www.KentuckyReining.com. Good Luck everyone, and wish I could be there too. Sounds like fun. Would love to be there. That’s great! Good for them.